Floor mats are something you probably don't think about very often. But if you consider the cost of replacement carpet for your car, floor mats suddenly become a fantastic value. Floor mats are required equipment when it comes to protecting your investment, especially if you live in an area that sees lots of winter weather. These rubber mats are made out of natural heavy-duty rubber and have molded channels designed to trap water, road salt, mud and sand. 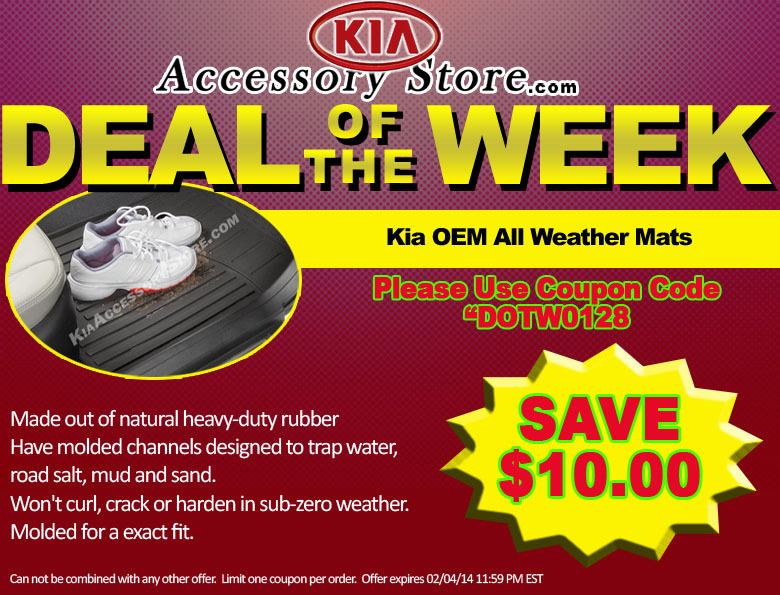 Made of pliable natural rubber, these mats won't cur or harden in sub-zero weather. Molded for a exact fit. Can not be combined with any other offer. Limit one coupon per order. Offer expires February 4, 2014 11:59pm (EDT). Please call 1-800-509-2652 for complete details.